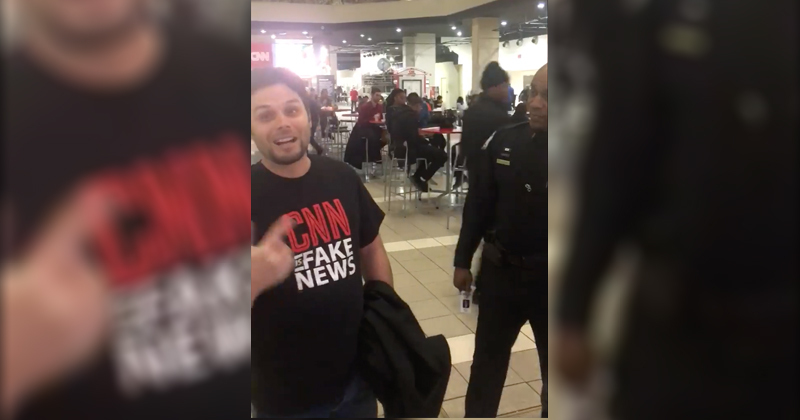 According to InfoWars, a man was kicked out of the CNN Center in Atlanta over the weekend for wearing a t-shirt labeling CNN as ‘fake news’. Footage of the incident appeared on Facebook Saturday showing a CNN security guard demanding the man leave. “Well we were enjoying the Atlanta Boat Show and went for a dinner break at the CNN building. Got kicked out for a T-shirt our friend wore,” the man said. Of course, CNN and its security team were likely being overly cautious after a Michigan man threatened to gun down their Atlanta HQ over ‘fake news’.